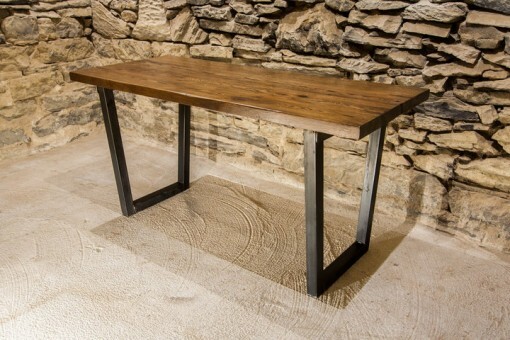 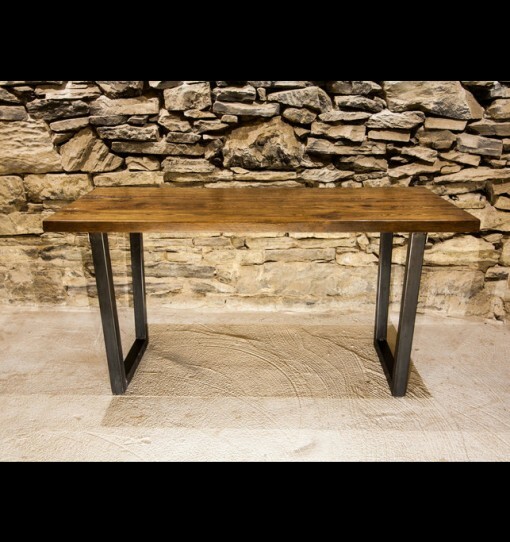 In the hands of our talented designers and woodworkers, reclaimed barn joists that have been salvaged by our team become living works of sustainable, functional art, complete with century old saw marks and nail scars, for a beautiful synthesis of old and new, rural past and urban present, perfect for any setting. Suitable for restaurants, bars or cafes, just select the size you need! 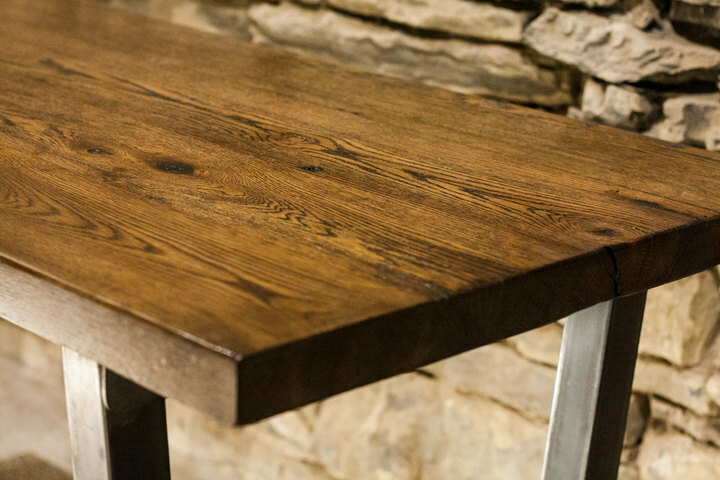 Standard thickness is approximately an inch with one inch square steel legs. 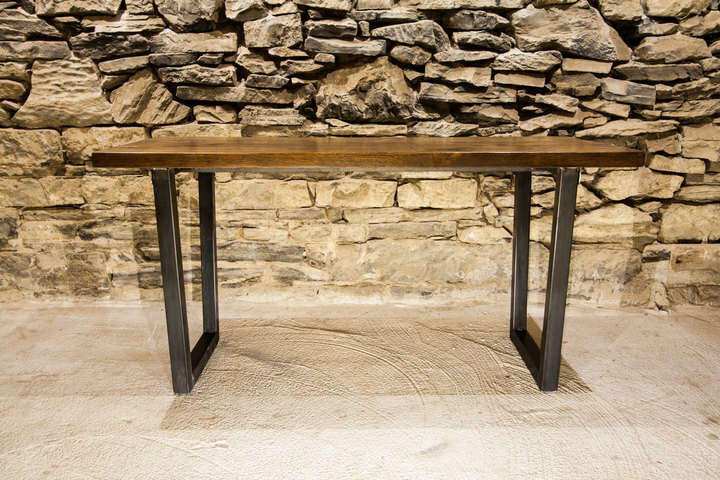 “Thick” size is approximately 2″ thick top and 2″ square steel legs. 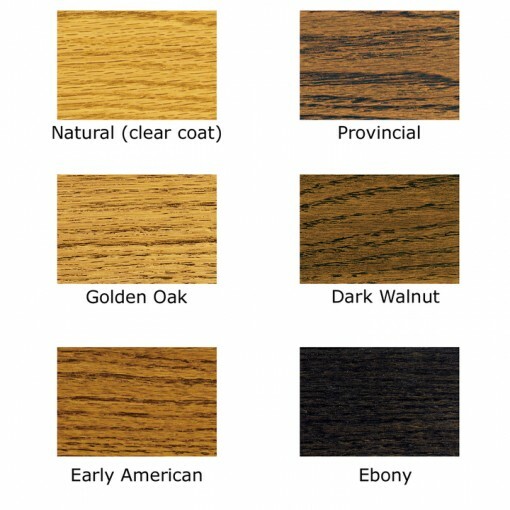 All our items come with felt or rubber pads to protect your floors. 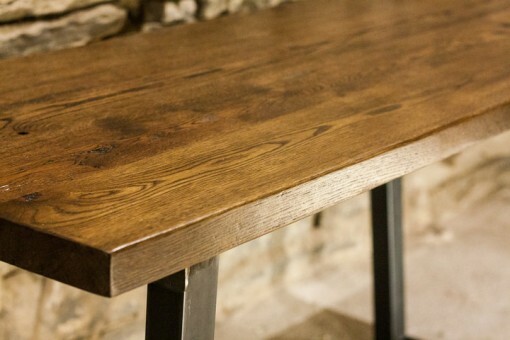 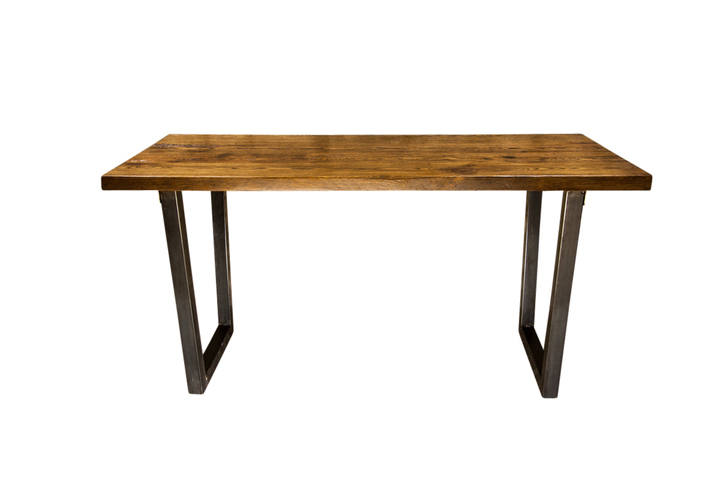 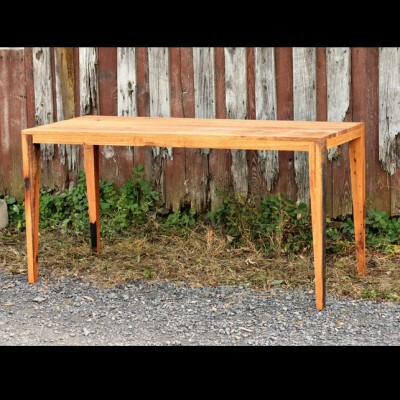 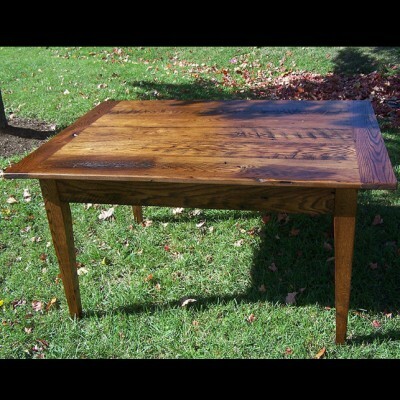 Shown here is a 24″x60″ thick top dining table in Provincial stain and sealed with a durable clearcoat. 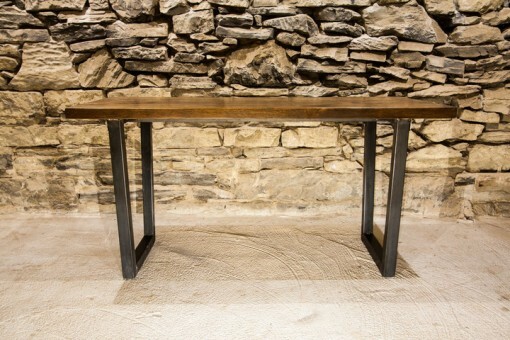 Base is 2″ square raw industrial steel legs. Powder coating in various colors available for additional charge. 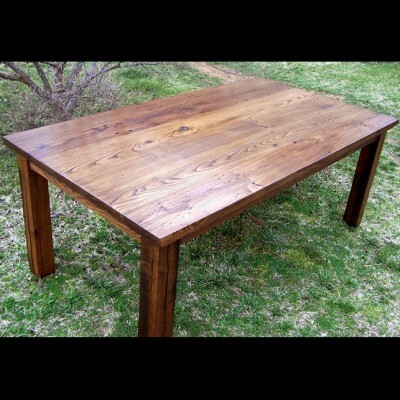 If you need customizations, just ask!